A perfect setting for cherished vacations, Kerala is a hotspot of the die-hard romantics. From the sensuous massages, quixotic sites, peaceful houseboats, and surreal backwaters; Kerala intoxicates you with love. Here are a few astoundingly mesmerising romantic places in Kerala you must visit with your soulmate to experience bliss. Almost all of the Kerala honeymoon packages have an itinerary for Munnar. The remarkable charm of this quaint town brings the ones madly in love to admire the amazing landscape together. Located 1600 metres above the sea level, Munnar is pleasant all year around. Sprawling tea plantations, colonial bungalows, and spectacular mountain scenery awaits your presence to add the glamour. The lush green tea gardens in the morning look breathtakingly beautiful. Select a room with a view and you’ll never want to draw the curtains. Fondly called as the ‘Venice of the East’, Alleppy is an adorably romantic version of Kerala with emerald backwaters, beaches, adventurous locations and sumptuous seafood. The hub of Kerala’s vast network of waterways, it is a small town that wants you to wander around hand in hand through its chaotic city centre, buy some cute souvenirs, and enjoy the backwaters on a beautiful houseboat ride. The most famous activity of Alleppy, the houseboat rides is an exceptional one of a kind experience that will stay with you forever. Straight out of a romantic fairy tale, the pristine shoreline of the Kovalam beach allows you to soak in it serenity holding the arms of your soulmate for as long as you want. This small coastal town is a major tourist attraction and various resorts offer amenities for the couples looking for a cosy and comfortable vacation. The three adjacent crescent beach shores are a favourite tourist spot for sun bathing and laid back vacation. Although the town is small for fancy shopping, the main city of Thiruvananthapuram is hardly 16kms away for you to indulge in souvenirs buying. The city of Thiruvananthapuram is a hub of architecturally brilliant temples that are century old. With its mouth-watering spice plantations, thick vegetation, and cascading waterfalls; Wayanand beckons you for its breathtakingly beautiful landscape and spectacular mountain scenery. Located at the tip of the Southern Deccan plateau, the sleepy district of Wayanand is perfect for the love birds looking for some private time together away from the hush- hush of the tourists and commercial hustle-bustle. Fondly called as the land of the paddy fields, Wayanand is a place to enjoy a lazy day holding each other and walking together in its paddy fields. The only district in Kerala that borders both the scenic Tamilnadu state and Karnataka, Wayanand should definitely be a part of your Kerala exploration. Literally every inch of the city of Kumarakom is mesmerizingly beautiful. The scenic landscape of this city makes for a must visit for couples, family, and friends alike. Whether it is the scenic islands around the lake Vembanand or the sprawling paddy fields, or the mango and coconut groves; Kumarakom makes you hopelessly fall in love with itself. The beautiful city is also ranked in the list of world’s most exotic remote destinations by the leading travel magazine, Cande Nast Travellers. 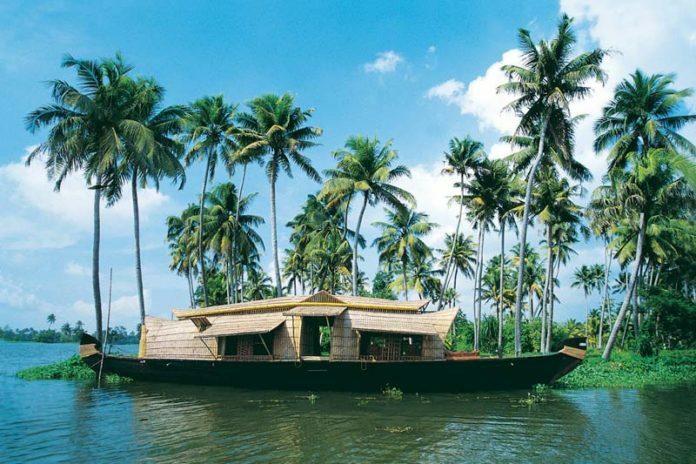 Kerala has immense natural beauty and greenery that allow the diehard lovers enjoy their relationship even more. A myriad of magnificent views, amazing backwaters, Ayurveda massages, delectable seafood, and lavish houseboats; Kerala is everything you can dream of for a memorable romantic holiday.